Probably no medical test is more important to understand than the HIV test. There is no cure for AIDS currently. However, a variety of treatments are available that can help. Here's where to learn about what an HIV diagnosis means and what kind of treatments are available. 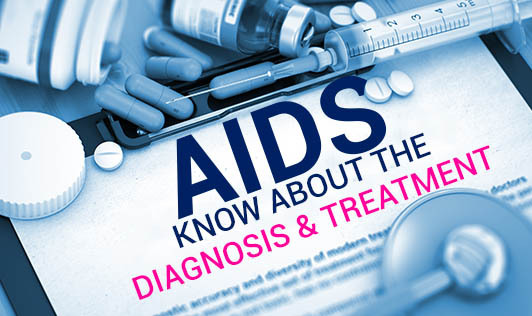 HIV infection is commonly diagnosed by testing blood for the presence of antibodies. Unfortunately, no test is perfect and accurate immediately after the infection because it can take some time for the immune system to produce enough antibodies for the antibody test to turn positive. This time period is commonly referred to as the "testing window period" and may last six weeks to three months following infection. There are three types of used: (1) HIV antibody tests, (2) RNA tests, and (3) a combination test that detects both antibodies and a piece of the virus called the p24 protein. In addition, a blood test known as a Western blot is used to confirm the diagnosis. The HIV antibody test is the most commonly used. If you are infected with the HIV virus, your body will start to produce infection-fighting proteins against the virus, called antibodies. HIV Antibody Test looks for these proteins in your blood or other body fluids. The most common HIV test, the enzyme-linked immune sorbent assay, or ELISA is used to detect HIV antibodies in a sample of your blood. All positive antibody screening tests must be confirmed with a follow-up blood test called the Western blot to make a positive diagnosis. If the antibody test and the Western blot are both positive, the likelihood of a person being HIV infected is >99%. Other tests can detect antibodies in body fluids other than blood such as saliva, urine, etc. In addition, an RNA test for the virus might be done. Other tests, such as those that look for virus RNA and the combination test are not commonly used for screening. There is no cure for AIDS currently. However, a variety of treatments are available that can help keep symptoms at bay and improve the quality of life for those who have already developed symptoms. Each of the classes of anti-HIV drugs blocks the virus in different ways. It's best to combine at least three drugs from two different classes to avoid creating strains of HIV that are immune to single drugs. Some of the drugs disable the HIV to multiply, some denatures the protein in the HIV and others block the entry of these viruses to the CD4 cells. CD4 cells are a type of cells in the immune system; which are also called "helper cells." A very effective treatment involving a combination of several antiretroviral drugs in reducing the number of HIV particles in the blood stream is called the HAART - Highly Affective Antiretroviral Therapy. This is measured by the viral load (how much free virus is found in the blood). Preventing the virus from replicating can improve T-cell counts and help the immune system recover from the HIV infection. Once the HIV positive people are confined to a specific regimen, it is essential to have a regular follow up with the team - doctor, counselor and healthcare coordinator. Certain hospitals call for a monthly follow-up to check their health status, after which the medicines are distributed accordingly. If required the doctor may ask the patients to visit more frequently than the usual schedule to check if the regimes are working fine and to prevent the complications.